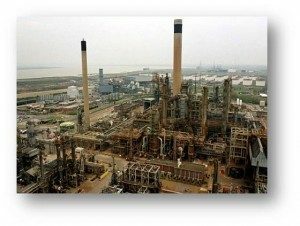 The sub project took place at the Coryton Refinery in Essex during the 2009 cracking complex maintenance turnaround. The project was specifically to undertake a critical flange inspection and joint integrity programme on the HF Alkylation unit. A target of approximately 1200 flanges were QA/QC inspected in accordance with API 751 standard as well as a refinery commitment to the HSE that all prime and trace acid flanges were to be inspected within a three year TAR cycle. This was a considerable undertaking and formed part of the critical path maintenance activities for the asset. Zulu Joint Integrity was tasked with managing the flange inspection sub project as well as designing and delivering specific training in relation to joint integrity, flange inspection and bolt identification for the HF Alkylation unit.